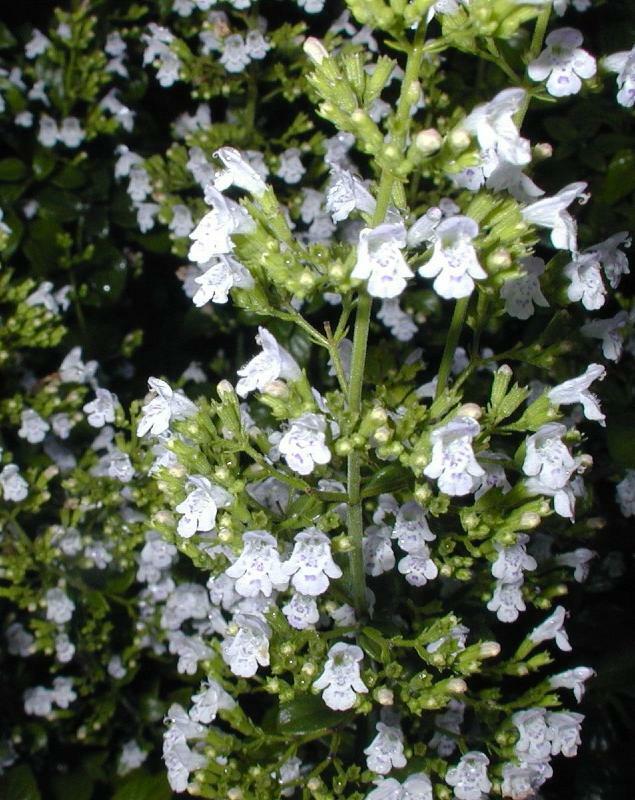 Calamintha nepeta White Cloud is an outstanding plant due to the prolonged flowering that starts in late summer and continues to early frosts. A fine choice for the front of borders because of its dense, compact form. Very scented dainty leaves of a soft mid green. 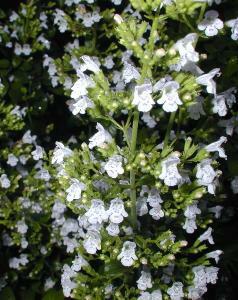 Tiny multiple white two lipped flowers with a minty scent that attracts bees and butterflies. Prefers full sun and well drained soil. Height 30cm, spread 45cm. Supplied in a 9cm pot.